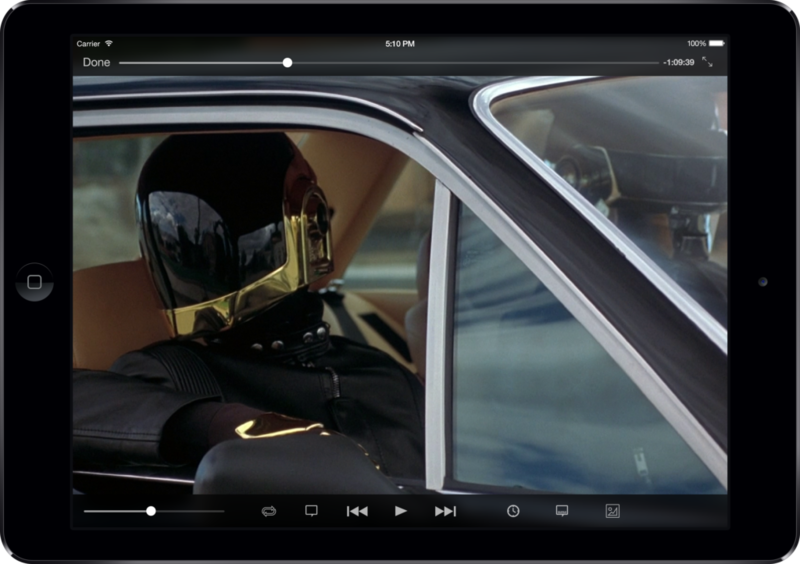 Today, we released a small update of VLC for iOS. It solves the most important regressions in last week’s 2.2 major release, but also includes a major improvement: full initial support of 64bit aka AArch64 aka arm64 on late 2013’s iPhone and iPad thanks to a close collaboration with the libav team. Additionally, we added enhanced support for a broader set of UPnP servers, notably Twonky 7, Serviio 1.4 and XMBC 12, and resolved an inconvenient memory management issue in the underlying upnp library, which lead to the weird behavior that from a full folder only a single file would actually be played over and over again. Regarding VLC for iOS’ networking capabilities, the option to manipulate the caching level was implemented in the same way as known from its desktop counterparts. Furthermore, ftp streams respect non-ASCII file encodings and URLs with spaces correctly now. Streaming from Dropbox is more reliable, too. Finally, we increased the readability of metadata displayed on iPad (iOS 7), solved stability regressions on iOS 6 and implemented a more intelligent thumbnailing mechanism. Oh, and your TV show episodes disappeared with the last update? That’s solved, too. Sorry for the confusion and the trouble this database edge-case caused.